Transformative leadership is not always about who has the loudest voice, physical dominance and political prowess. Sometimes a powerful leader comes in the form of a vibrant sassy woman draped in pink with a seemingly endless supply of alofa and faith. From the time she chose to speak out about her diagnosis of advanced breast cancer at the National commemoration of World Cancer day in 2016, Manamea Apelu Schwalger, has become such an empowering figure. Crusading for a lifesaving cause to help prevent the spread of cancer in this country – and abroad - and she did it in her own unique style with a tribe of fabulous friends ready to back her up at a moment’s notice. In 2017 during a time where one should be dedicating their time and energy to fighting a life threatening illness, Manamea instead lent herself to be the leading figure that will now and forever be synonymous with the fight to prevent cancer. Her fight came with a message of hope. Being in a vulnerable life or death situation did not stop this former Miss Samoa and Miss South Pacific from using her profile and her magnetic personality to be the spokesperson and advocate for the Samoa Cancer society to better support Samoans with cancer. True to her words, her actions this year have been all that and more. Having the ability to inspire and mobilise people to rally behind you is a testament to a person’s strength of character and this year we saw just that as Manamea’s vibe attracted her fierce tribe in enacting two major fundraising campaigns. 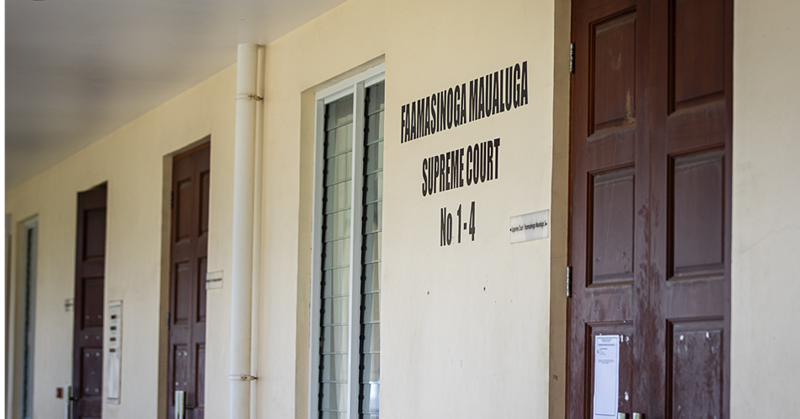 Both campaigns highlighted not only the need for early action to prevent cancer but also brought to light the physical, emotional and financial impact cancer has on the patient and their families with little to no resources available to support them in Samoa. Joining forces with E.M.D, Samoa Cancer Society and the Miss Samoa Alumni, Manamea became the unifying figure of the Think Pink initiative, which was a part of the LIFE Con Explosion. In a brilliant campaign, the initiative not only raised funds for the Samoa cancer society but it gave them the much needed P.R. and media it required to help boost awareness and funds. 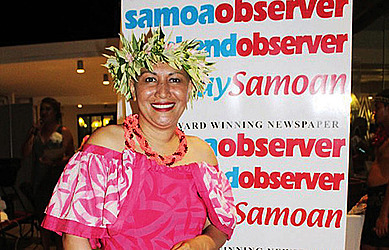 Speaking to the Samoa Observer in May 2017, Manamea said: “I know with Samoa Cancer Society, there are no specific media campaigns for specific cancers. For me, because I have breast cancer, I would like to think that I can assist voicing some of the awareness programmes which is related to breast cancer. Building on last year, this year’s Pinktober events seemed even bigger, bolder and dare I say, even Pink-er. Manamea and her team stirred the nation to action with every facet of society raising funds for the cause and just for good measure, Pinktober got the green light for a pink Clock Tower – Apia’s iconic Clock Tower that is. For a month, that Pink Clock tower stood as a symbol for the changing times and attitudes towards having that difficult conversation about how to prevent cancer and how to support those going through it. Even through a grueling schedule of happenings and public appearances during Pinktober’s “Vave” campaigns, Manamea in the final stage of cancer pushed herself to not only be present but to participate fully in the major fundraising events around Samoa where people from every walk of life gave generously. Her message of hope this Pinktober was loud and clear, “do what is tangible” she said. It means that while cancer can happen to anyone indiscriminately, it doesn’t matter if you’re rich or poor – we can always control how we react to it. Symbolizing the end of Pinktober this year, it was not surprising to see Manamea as Apia’s iconic Clock Tower was painted back to its original white after standing in all its pink glory through the month of October. Speaking then to the Samoa Observer, she thought that it was both bitter and sweet that the Clock Tower was changing out of its pink gown but it was time to get back to work because the fight did not end there. But most importantly, she said, the conversation must go on – with or without her. We hear you loud, pink and clear, Manamea!